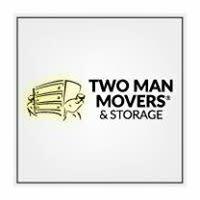 Two Man Movers and Storage, an agent for Stevens Van Lines, is currently looking for an experienced Class A Household goods mover that wants to become and owner operator. Easy lease program available. A van operator's main objective is to transport items without damage. They need to know the best way to pack delicate items such as china, glassware, and mirrors. They may disassemble furniture, such as beds, so it fits through doorways or into elevators. They may place furniture in special containers designed to protect it for irregularly shaped items. Van Operators must also maintain inventories of the items they transport. Van operators are expected to exhibit supervisory skills in managing crews that load and unload shipments. Two Man Movers And Storage, an agent for Stevens Van lines, is currently looking for an experienced Class A Household goods mover that wants to become and owner operator. A Van operator’s main objective is to transport items without damage. They need to know the best way to pack customers belongings into boxes for safe transport. The need to pad and load household goods into the Van for safe transport. Disassemble and re assemble items such as beds, tables, and piano’s so that they can fit through doorways and elevators. Van operators must inventory and keep all paperwork while in the drivers care. Van Operators hire and manage their own labor and are expected to manage them in a professional manner.